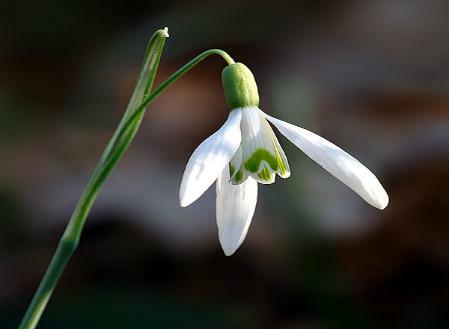 Only a few plant enthusiasts know that there are no less than 75 species and cultivars of snowdrops. Practically without exception, however, all of them bloom very early in the spring and have milky-white flowers. 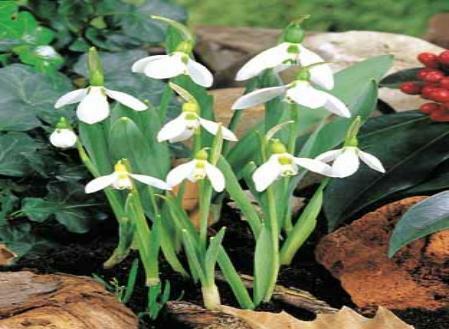 In fact, the name 'Galanthus' means 'milk-white flowers'. This species has larger flowers and much coarser leaves than those of G. Nivalis. 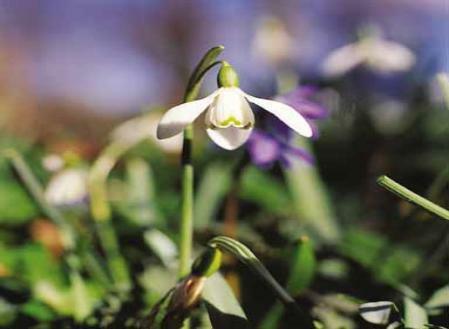 Galanthus Elwesii is also much taller and its flowering period can begin just a little bit earlier. Another striking characteristic is that green spots present on the inner petals are much larger. Landscape uses: borders, rock gardens, under trees and shrubs, and in lawns. This is the universally known species that naturalizes very easily, especially in moist soil that supplies sufficient nutrients. Either a sunny location or one with some shade will do. The flowers are pendulous and bell-shaped; the leaves wither six weeks after the flowering period. 'Flore Pleno' is a beautiful yet seldom-seen double variety.